Sophie has been groomed from birth for a life of easy comfort. Then financial ruin obliges her to reevaluate all her plans and dreams. Helping veterans and their wives helps her see what's truly important-and gives her the chance to enjoy the lieutenant's very appealing company. 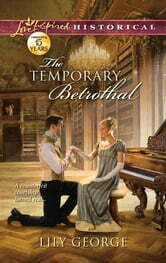 Somehow Sophie must help his embittered heart to see she's found her permanent place-by his side, and in his arms.